Defying all expectations, we had a very healthy turnout for our Happy New 2012 Fair, and an amazing crop of photographs shared online by our happy visitors! Scroll down for a feast of highly desirable finds scooped up by eagle-eyed and accomplished Vintage Villagers who clearly enjoyed some of the generous discounts available on the day. As ever, you can click on the pictures to go to their original source, and click on the Twitter names to find some very interesting and entertaining people to follow. 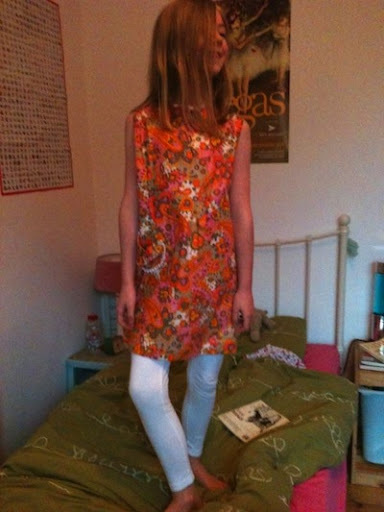 "R in her new vintage number from @Vintage_Village"
[Editor's note: this 1960s girl's summer dress was from Strumpets Bazaar]. 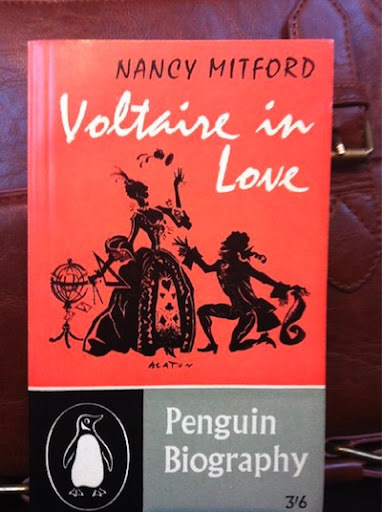 "My find of the fair so far @Vintage_Village to add to my Mitford library." 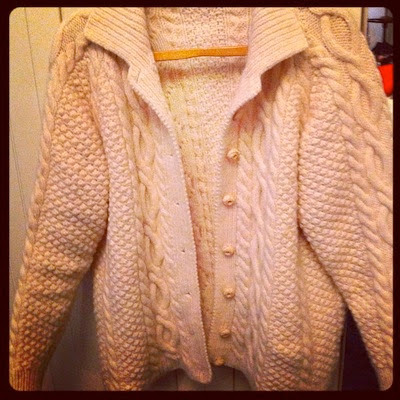 "Vintage arran cardigan Lost but not Forgotten"
"Yum! 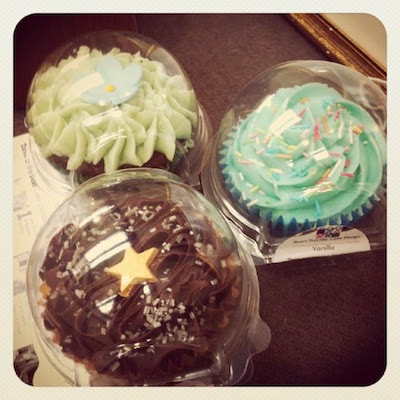 Cupcakes thanks to @STCakeDesign 3 for 2 and selling like, well, hot cakes @Vintage_Village." 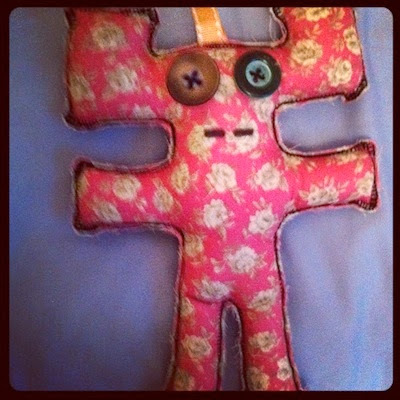 "Back from @Vintage_Village Went alone as Bel is revising so I had a good mooch. 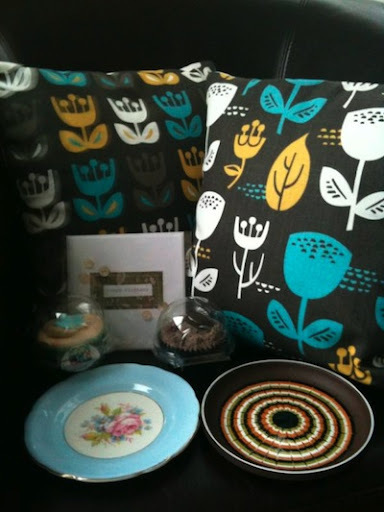 Love my new cushions from papino." 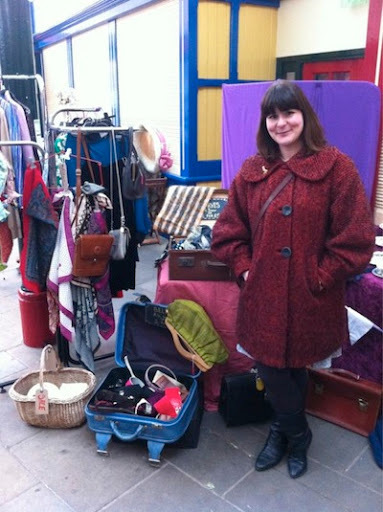 "Had such a great time @Vintage_Village yesterday! Found this useful little Woolrich jacket from Dragonfly." "@Vintage_Village great vintage market today! Bought some lovely things!" 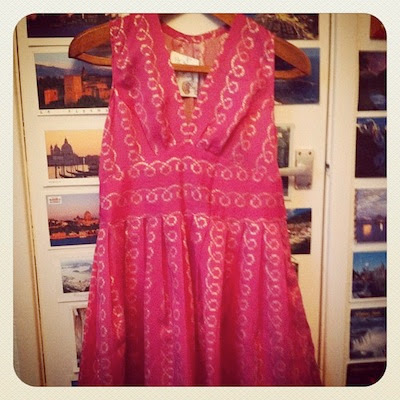 [Editor's note: 60s dress from Tea for Two Vintage]. 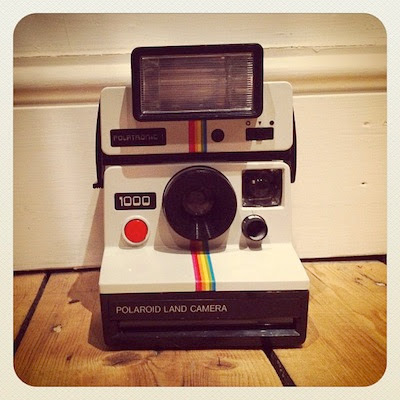 "Finally got my hands on a Polaroid and Polatronic Flash unit! 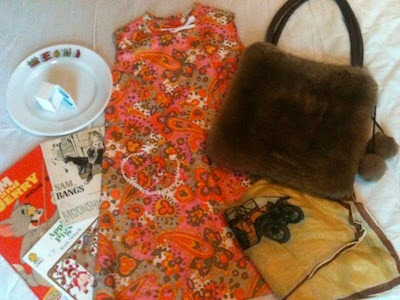 Fruitful trip to @Vintage_Village"
"Today's @Vintage_Village buys (some real bargains in the January sales!)" [Editor's note: handbag and scarf from Donald & Miss June]. [Editor's note: this is the lovely Emma of Lost But Never Forgotten]. 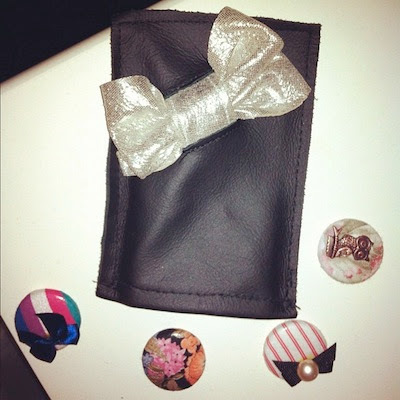 "Fabric badges and mobile phone holder"
[Editor's note: fabric badges from Lost But Never Forgotten, mobile phone holder from Woodchip Boutique aka @ilovewoodchip]. 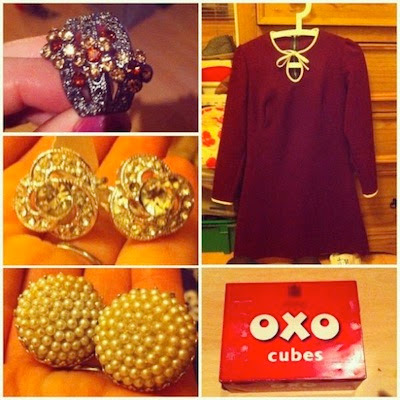 "This month's @Vintage_Village purchases. 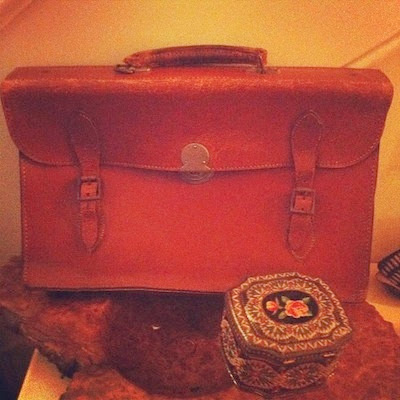 The satchel was only £1!" 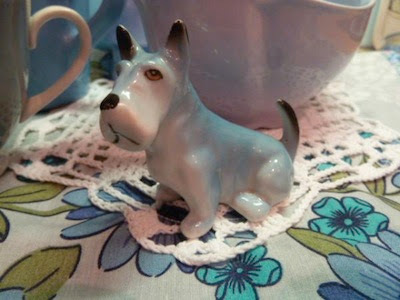 "My pooch from @Vintage_Village and a big thanks to @VintagePleasure for putting him back!!" 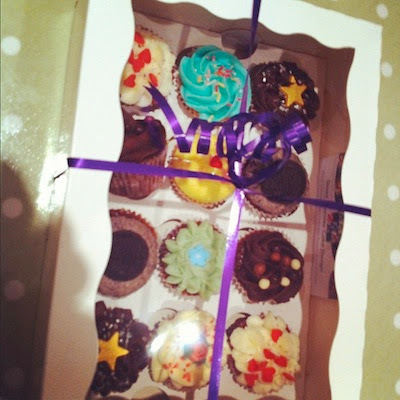 "@STCakeDesign mini cupcakes made it home in tact!!!"